Any bakers in the house? We love desserts in our home so when my family sees I'm whipping up something sweet, it's all smiles. 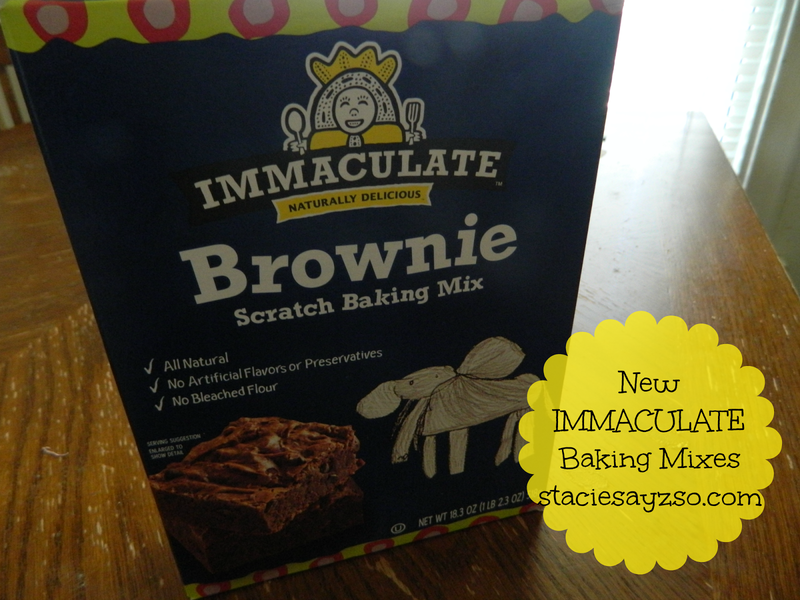 I really enjoy baking both from scratch and mixes so when I heard about a new brand I've been seeing in Target stores called Immaculate, I couldn't wait to try it out. "Immaculate Baking is launching a new line of dry baking mixes with the same promises and non-GMO commitment since its refrigerated cookie origins: Using only wholesome, simple, delicious ingredients, and offering baking options ranging from all natural, organic and gluten free! Using the same ingredients you would use if you were to bake cookies, cakes, and brownies from scratch, Immaculate Baking’s eight new dry baking mix items have 0g trans fat, and does not contain artificial preservatives or high fructose corn syrup. Look for new Immaculate Baking Dry Baking Mixes in the baking aisle! Now available at Target!" Be on the look out for Immaculate coupons being handed out in coupon books at Target, as well as coupons on Target.com and the Cartwheel App. 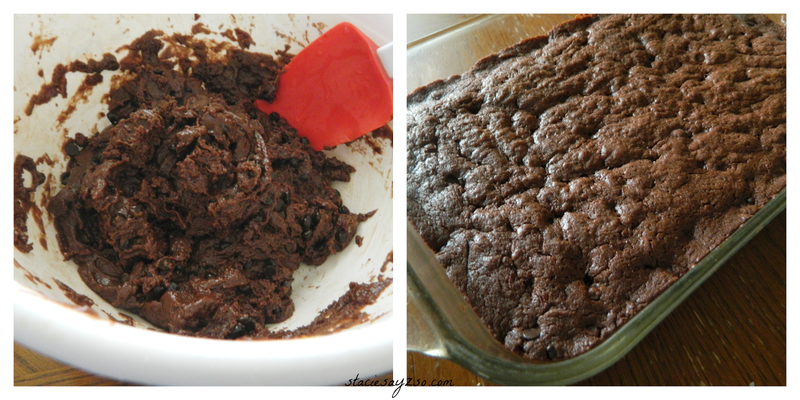 Monday, I baked up a delicious batch of Brownies with the mix. Boy were they delicious! You could hardly tell it was made from a mix. I even added some Vanilla ice cream and hot fudge on top. 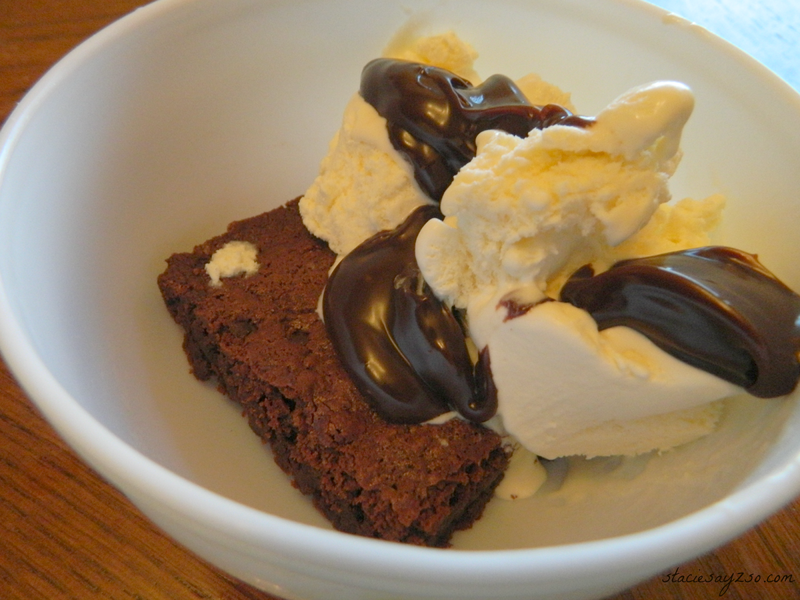 My family was thrilled with their brownie sundaes! Immaculate even offers a gluten free cookie mix called Double Chocolate. Now I have to be honest. I'm not sure I can get with the texture of rice flour, but the kids did eat them. I guess as long as they liked it that's all that matters. I do think its cool that brands are making these gluten free options for our folks that can't eat or don't want regular wheat. I have a couple of Immaculate cake mixes that I will be trying out too. All in all, Stacie Sayz try it! Visit http://www.immaculatebaking.com/ and facebook.com/immaculatebaking for more information. Do you like to bake for your family?